If your new kitten if to live a long and healthy life, good nutrition is essential from the beginning. These 5 tips are crucial to getting your kitten started off right. Mother's milk should be the primary source of nutrition for the first four weeks or so of your kittens life. This milk is ideally suited to meet a kitten's needs and contains certain antibodies that can help protect your kitten from potentially deadly infections. At around 4 weeks, kittens can start eating solid foods. Canned kitten food is the best option to begin with. Over the course of the next 4 - 6 weeks, kittens will naturally begin to eat more solid food and drink more water, as they mature and their mother limits their access to milk. 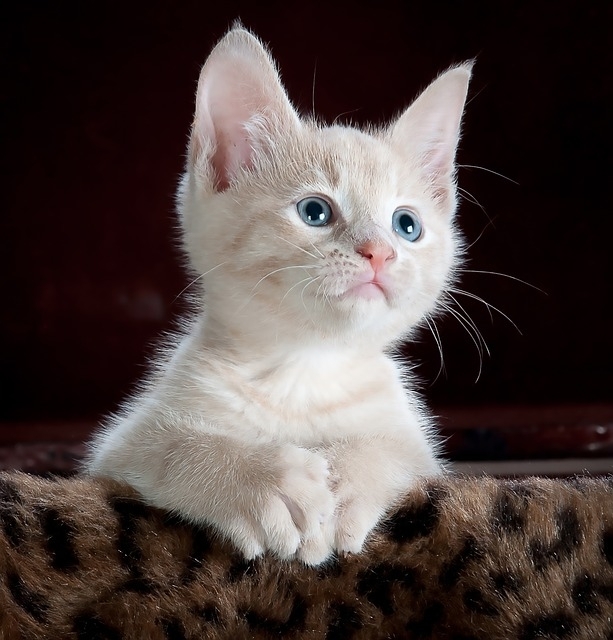 At 8 - 10 weeks of age, kittens should only be eating solid food and drinking water. Food made specifically for kittens are more calorie-dense than foods designed for adult cats. They also tend to have more protein, calcium, phosphorus, magnesium, Vitamin A, Vitamin D than adult cat food, and more of certain types of Amino Acids necessary for kittens. High-quality kitten foods also contain optional ingredients to optimize development, such as DHA, which is important for eye and brain development! Cats develop strong dietary preferences early. These preferences include both flavour and texture (dry vs canned). Many pet owners prefer to feed their kittens dry food because it's cheaper and more convenient. Many cats do quite well of a diet of dry food but canned foods are superior when it comes to preventing or treating common health problems such as obesity, kidney disease, etc. If you choose to feed your kitten primarily dry food, it is recommended that your offer canned meals regularly to keep your options open in the future. It is also better to alternate between several high-quality canned and dry goods so that your kitten doesn't become addicted to a certain flavour or formula. Cats are built to eat multiple small meals throughout the day, and to work hard to catch those meals. While it is tempting to leave food out all the time, it often puts your kitten at risk for obesity. Using an automatic feeder that will dispense small amounts of food at set times during the day is a simply way to increase the frequency of your cats meals. Place your kitten's food as far away from their favourite resting place as possible to encourage exercise. Research has shown that cats tend to eat more after they have been spayed or neutered. At the same time, their caloric needs are declining, maybe as a result of the surgery or because their growth rate is beginning to slow. This is a dangerous combination when it comes to maintaining a healthy body weight. Keep an eye on your kitten's body condition and adjust the amount of food offered accordingly. After your kitten has been spayed/neutered, ask your veterinarian when it is recommended that you start offering a food formulated for adult cats.